I received the following message below from Martha S last week. I thought it was fairly easy to date the set since there were Jokers but then I started to question what this set was all about. Was it really wood? 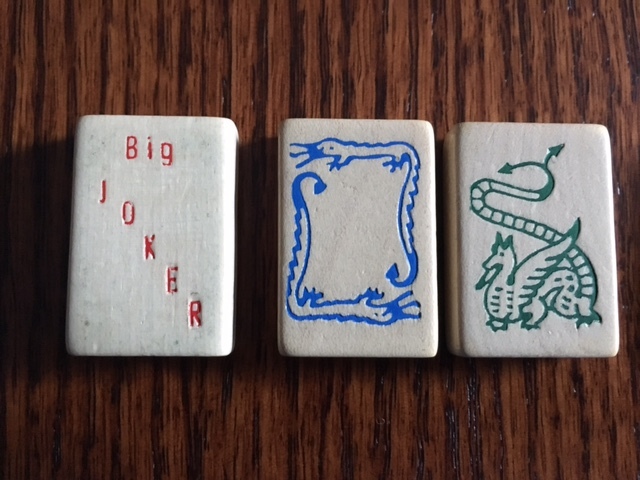 Did the Jokers belong to this set? Was it the same Cardinal Company that we all know and love? 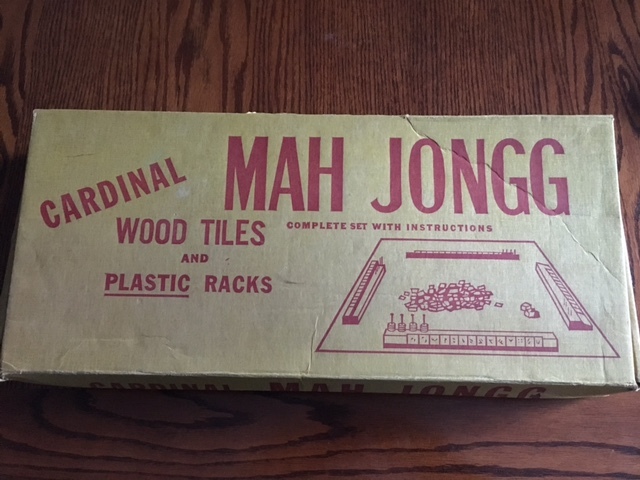 I have a mahjongg set made of wood tiles that I have been told is from the 1960’s. 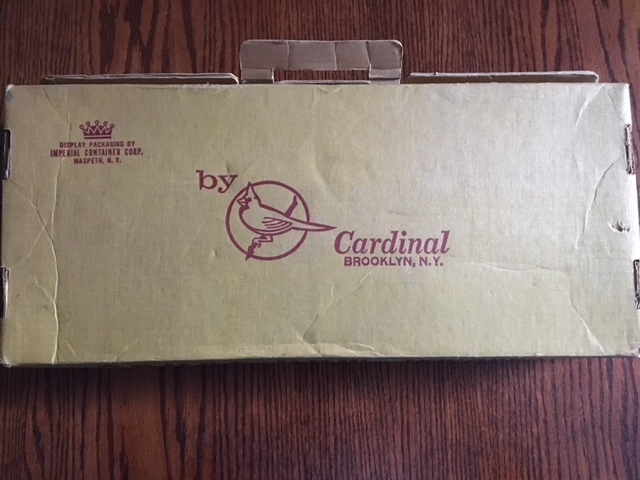 It is from Cardinal Products, NY NY. It includes brown plastic racks and is in the original box. 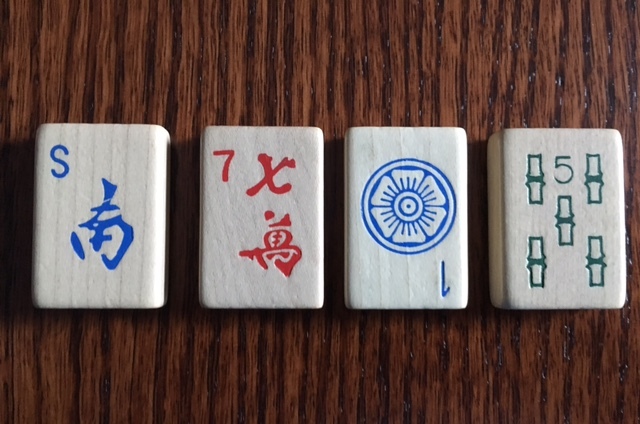 Only 4 joker tiles (which say Big Joker on them – and 12 flowers. The suits and dragons are the same as new sets. The tile total is 152. Do you know of any way I could confirm the date of the set? And then Martha sent me photos. Because sets like this do not bring in a large price, they are worth keeping for their sentimental value. Martha’s mother used this set for her game play and, for that alone, I would hang on to it and cherish the memories it evoked. 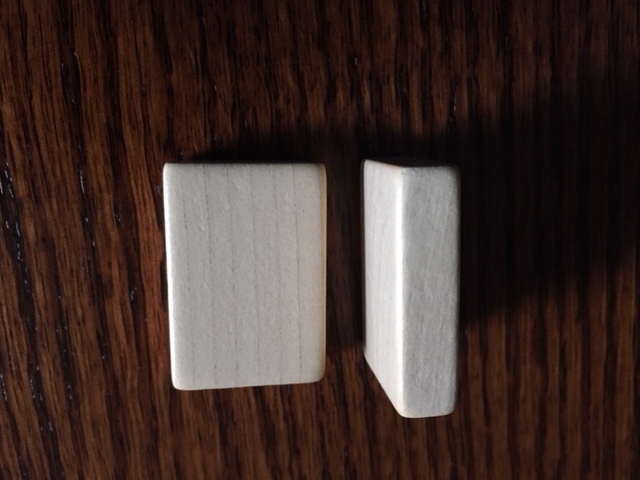 If any of you have any information on this set, please let me know – it would be so wonderful if Martha had a better knowledge of the set so loved by her mother. And, by the way, Martha said she might even learn the game! 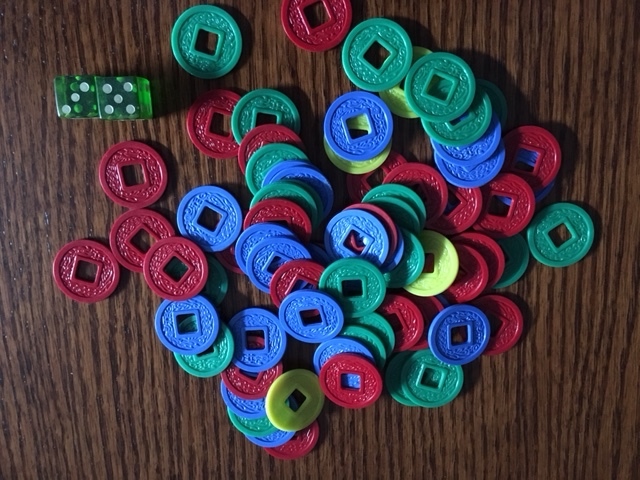 This entry was posted in Mah Jongg and Me and tagged Cardinal, mah jongg, mahjong on August 25, 2017 by Mah Jongg and Me. Hi Ann, this style of set is quite common, several firms put their own badges on them, in the UK MS and HPG (Michael Stansfield & HP Gibson) among them. They are indeed wood, painted white, then the designs impressed in monocolour paint. 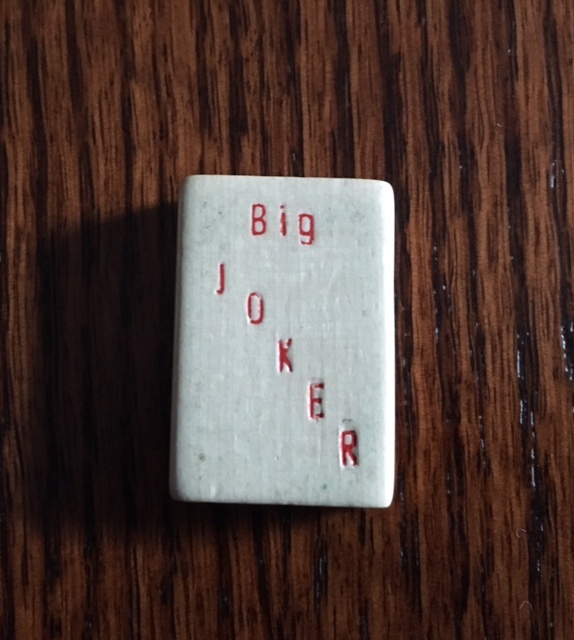 This set is thicker than most which are typically less than 1/4″, and it has the Jokers which UK sets don’t typically have. 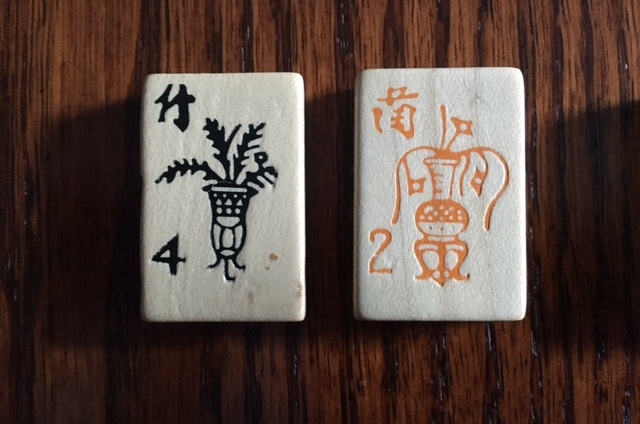 The similarity in design leads me to think that there is a common source for these tiles, and the box is the major difference in presentation.